Sometimes when you read the Bible, you can think, "Oh, I've read this before," and, and we need new ways to, to focus ourselves. Um, sometimes I'll read a Gospel. I'll maybe read Matthew's Gospel, with just one thing in mind. And maybe the thing will be patience. I'll just read Matthew's Gospel, and I'll just explore the theme of patience. Ok? Who was patient? Who wasn't patient? Where do I see patience playing out? Where do I see impatience playing out? And how does it effect peoples lives? How does it effect situations? How does it effect history? You know, 'cuz Matthew's Gospel opens up with that genealogy and, um, and what, what do we see first? We see that the Jewish people had been waiting patiently. You know? The world has been waiting patiently, for the Messiah. And then, here is Jesus. Other times I'll use another theme, I'll maybe read the Gospel of John and think about gratitude. You know, who's grateful? Who's ungrateful? Um, and I think as we go into, uh, the Triduum, as we go into these, like world-changing days, it's good to approach it with something in mind. You know? And maybe one way to think about that is OK, who are you going to be in the next four days? Maybe place yourself in the scene and say, "OK, in the next four days I'm gonna be one of the disciples." And so over these four days, the disciples experience just incredible shifts and swings and emotion. And incredible experiences. And so by placing ourselves there, I think we experience it differently than just reading it on the page. 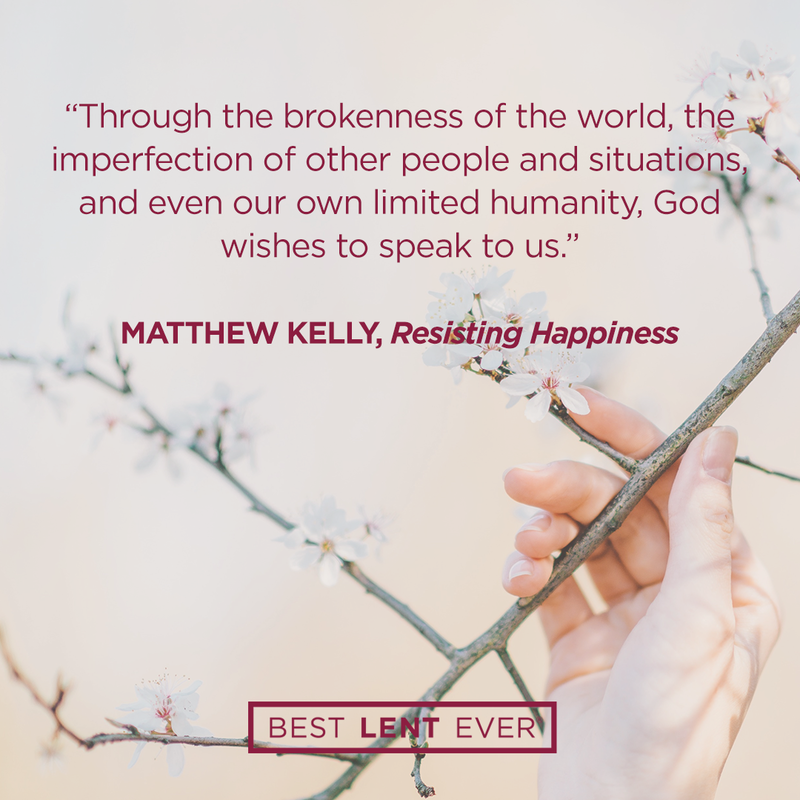 And so, to top off our experience of our best Lent ever, we have this, these four days to experience the life-changing events that happened two thousand years ago, in a way that we've never experienced them before. And I think that's an incredible opportunity. That's an opportunity I think we, we waste some years, I think that's an opportunity we let slip through our fingers other years. But I think you, you have a mindfulness this year, you're in a place this year to experience the Triduum like you've never experienced it before. God wants to speak to you throughout the Triduum (Holy Thursday, Good Friday, and Holy Saturday). Are you ready to listen? Reflect on Matthew’s invitation to pick a word to define your Triduum experience. Choosing a word will bring focus and intentionality to the next three days. During the Triduum, Matthew’s videos will be shorter so you can spend time reading the Gospel for each day. Use the word you chose to explore each Gospel reading. Jesus, open my ears and my heart to you as I reflect on your passion, death, and resurrection. Today’s personal reflection features Dynamic Catholic team member Katie Ferrara. Katie is our Catholic Moments coordinator, coming to us from Fort Lauderdale, Florida. Katie is a licensed Zumba instructor, has not found a food she does not like, and would love to be a professional hugger. What word will define your Triduum experience?